Dumont has been working on geopolitics for quite sometimes and published many of his important research works. His recent work is focussed on diaspora and geopolitics. In an interview with Dr. Sadananda Sahoo, Prof. Dumont shares some of his ideas. 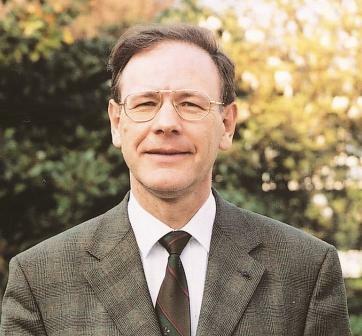 S.S : Prof. Gérard-François Dumont, as a scholar on geopolitics you have worked on various issues related to demography and politics, diaspora and geopolitics. How do you find the influence of diasporas in the globalised world today? Gérard-François Dumont : The geopolitical importance of the diaspora is very recent. For centuries, the word Diaspora has been defined as a singular word in dictionaries. It refered to the scattered Jewish communities in the world. Teachings of the Old Testament passed down from one generation to another. Jewish Community teach their children the history of their migration, and are, therefore, the only diaspora. These are the only communities to live in a country on the planet, while continuing to feel the identity of the origin of their ancestors territory. Their identity is simultaneously here and elsewhere. Since 1990s, with the development of air transportation, communications, web technologies and networking, the physical limitations of distance are increasingly eliminated. In the context of globalization, modern transnational communities have the means to make themselves more visible inside the host country. The transnational networks are even more enhanced with the accessibility of global communications. The flowing information influences diaspora consciousness. The Internet plays an important role too. These new technologies open new possibilities and serve the interests of diasporic communities. So, the immigrants and descendants of immigrants can maintain close ties with their homeland. So was born a phenomenon that, in my book Political Demography (Paris, Ellipses, 2007), I call "diasporization." That is to say that immigrants communities have become diasporas. The word diaspora has become plural. The main element that characterizes a migrant community as diaspora is its relationship with the homeland. These diasporas not only play important role in tourism and investments in their country of origin, but they also play an important geopolitical role because they influence international relations. SS :During colonial times, it was the colonial economy that triggered large scale international migration mostly from one colony to another. During the post colonial times, the destination for international migration are mostly to the USA and West Asia. How do you think the impact of this new direction impacting on the geopolitics? Gérard-François Dumont : The destinations of migrants are of great importance to measure the geopolitical influence of diasporas. The geography of immigrants and their offspring is essential for two reasons. First, when people reside in a country, not giving rights to immigrants, its geopolitical influence is weak. For example, the geopolitical role of diaspora living in the Gulf countries is low. However, when immigrants living in democratic countries, they have several important rights such as: freedom of association, freedom of religion, the right to be naturalized etc. Their potential geopolitical action is great. The second reason is the geographical dispersion of diasporas. If diaspora is present only in one country, it can conduct geopolitical action only from that country. However, if a diaspora is scattered in many democratic countries, they can create more transnational impact covering more countries. Take one example to illustrate these two reasons. What allows the Dalai Lama to have such an international audience? On the one hand, the Dalai Lama is part of the Tibetan diaspora, considered as a resident by the democratic country Canada, even if he live essentially in India. In fact, the Dalai Lama fear traveling in many countries because it has a honourary Canadian passport. On the other hand, the action of the Dalai Lama is relayed especially since the Tibetan diaspora, though small in number in the world, about 200,000, is dispersed in many countries (see Gérard-François Dumont, "Demography of Tibet. What Geopolitical Scenarios? ", Diplomacy, n°. 63, July-August 2013, p. 40-44). SS : The UN data shows that there are about 3 % people who are international migrant constituting more than 200 million people. Unlike earlier labour migration, large sections of these are skill and knowledge migrants. What is your take on this? Gérard-François Dumont : Indeed, the issue of international migration is often unknown. Indeed, the media often present the case of illegal migration. Yet these illegal migration are a very minor part of international migration. Emphasis should be placed on what I call the "entrepreneurial migration", migration of assets with a skill. But these movements are part of the economic competition between countries. For countries in the context of globalization, seeking to attract the best students, the best skills, the best entrepreneurs, the best researchers . SS : There are two way movements of people, in many countries. People come to European countries and settle permanently and vice versa. France is no exception. How do you think this complex phenomenon of both in-ward and out-ward diasporas and their network(s)in the geopolitics? Gérard-François Dumont : A few decades ago, hyper-globalizers predicted the globalization of culture. They predicted the eradication of differences (national as well as cultural). There is no evidence of a process of uniformization. Instead, the migrations are generating cultural hybrids. Some migrants reconfigure their spaces or their lives are lived simultaneously within two or more spaces. It is possible because the impact of modern technological progress as the major factor in the contemporary proliferation of diasporas. The political significance of diasporas grows, thanks to the globalization of the economy and the development of international relations. They influence the attitudes and aspirations of the home country, experience conflicts and cooperation with their host societies, and contribute massively to the functioning of the international networks which are central to our world. SS : What are the challenges for France at the policy levels to manage the diaspora? One finds that there are issues related to identity and culture. There are examples of diasporas resisting various policy measures in France. Gérard-François Dumont : The first role of any government is to ensure social harmony in its territory. This assumes that diasporas agree to abide by the common rules in their country of settlement. The problem arises when diasporas consider themselves "fifth column". They believe they need not respect the values of the host country. But what is the reality? It is always complex. Thus, a very well known American author, Samuel Huntington, is very concerned about the development of the identity of the United States due to the rise of Hispanics. So he wrote the book Who Are We? The Challenges to America's National Identity (New York, Simon and Schuster, May 2004). I am not agree with Samuel Huntington. He forgets all the elements showing the integration of Hispanics in the United States ( refer my paper "The Diversification of the Population and the Internal Geopolitics of the United States," Geostrategic, No. 23, 2009, p. 47-70). I will publish shortly a new text analyzing more precisely the two main books of Huntington. This test is called "Huntington's Clash of Civilizations in Sub-shock: A Scaling Contradictory"? SS : You have published numerous works on geopolitical issues in France. But still one find very less research on this issue. . What is your opinion about the future of researches on diaspora and geopolitics as it is a growing phenomenon across the globe? Gérard-François Dumont : We need to understand the importance of studying the geopolitical role of diasporas. That's why I called diasporas "third actor" in geopolitical relations. In other words, when we study international relations between two countries, we not only consider the positions of the governments of each country, but also the diasporas who live in these countries. Geopolitics is now transformed by the importance of diasporas. The concept of geopolitics is changed by the development of diasporas. Gérard-François Dumont is Professorat the University of Paris IV-Sorbonne; President of the Population & Avenir association and Director of the journal Population & Avenir ; Editorial responsibilities in severalscientificjournals; Guest speaker in France, Europe and worldwide; AdministratorGeographical Society (association of public utility); Vice-President of the Academy of Geopolitics in Paris.The scientificactivity of Gérard-François Dumont focuses on demographics, but in an open concept of this discipline. In his opinion itshould not belimited to the processing of quantitative data, but open to otherpolitical, economic, social, and cultural knowledge... to achieve the understanding of manyfactorsexplaining the geography of settlement, of contemporary and past population dynamics. The qualitative and quantitative approachisalsoimperative to analyze the consequences of demographicprocesses, population projections and to conduct prospective studies. The scientificactivity of Gérard-François Dumont isthreefold: cognitive, conceptual and methodological.